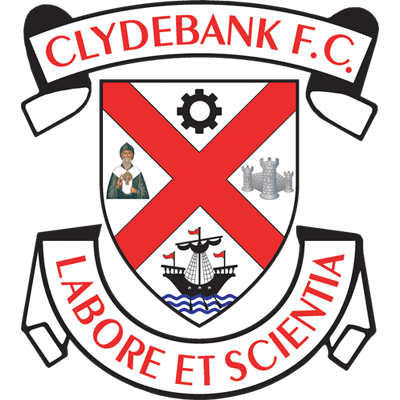 Clydebank began their league campaign with an outstanding display this afternoon at Meadow Park by comprehensively defeating newly promoted Irvine Meadow by three goals to nil. Cammy McClair continued his impressive start to the season with a double and Jordan Shelvey added the third with a cute as you like lob over the goalkeeper's head. 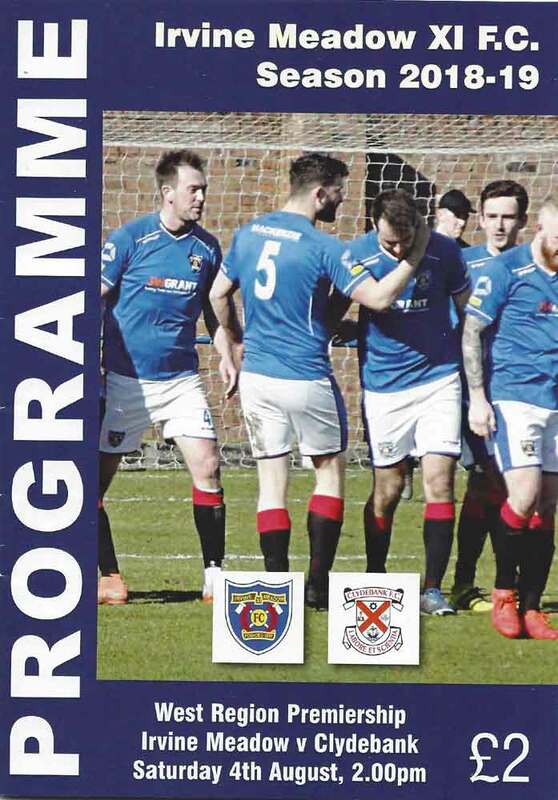 The talk on the way to the match was who would be left out of the new look team as, for once, the Bankies seem to have a lot of attacking options. Stevie Higgins was the man left on the bench in favour of his namesake Sean. Chris Black and Matt McLean both had to be content to be subs as did new signing Michael McIndoe. 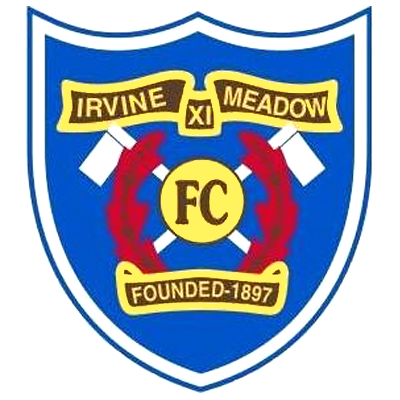 As you would expect from a newly promoted side Irvine Meadow started off on the front foot and had the Bankies under pressure for the first fifteen minutes. Meadow have been scoring a lot of goals in the Sectional League Cup so this would be a first real test for the Bankies defence. The home side are not short on height and deployed a direct game and got the ball into the box as often as they could. They had a bit of joy with this in the early part of the game, but as the match wore on, the Bankies got the measure of this and dealt with it very well for the most part. The only real scare came in the third minute when a cross from the left wing to the back post was volleyed goal ward by McLaughlin, but he was unlucky to see the ball cannon of his own player and go wide for a goal kick. 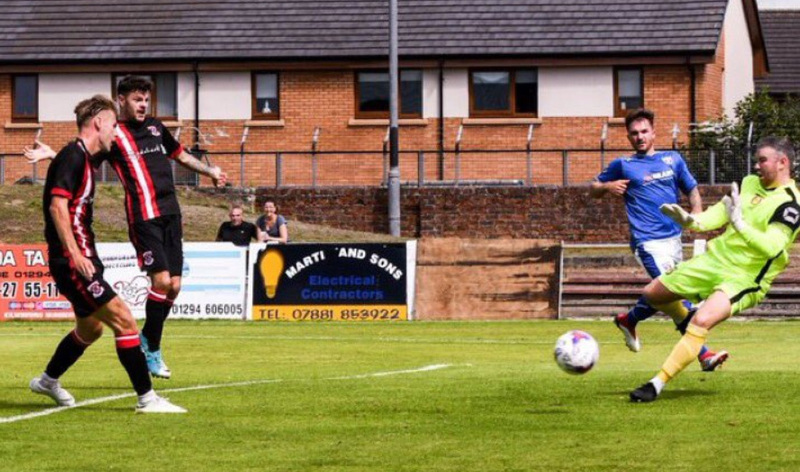 The Bankies were conceding possession too easily at this stage, and there were only fleeting glimpses of the side who have done so well recently. As the Bankies began to restrict the Meadow attacks, the threat started to shift down the other end. Hepburn broke free on the left and saw his shot well block by a defender when he had better options inside, and Nicky Little's glancing header flew wide of the goal when Sean Higgins was better placed behind him. Meadow upped the tempo at the start of the second half with much the same tactics as the first, but it was diminishing returns for the home side as the Bankies were now defending solidly. This was now allowing the Bankies midfield to take control and start creating chances. The second and probably decisive goal arrived on the 54th minute. A throw in on the right was nodded on by Shelvey to Sean Higgins' in the box. Showing all his experience he neatly played the ball inside to McClair who took it on the run and slammed it past White. The Bankies then had a few chances to extend their lead. Little was denied with a superb acrobatic save by White when he tried to lob the keeper, and Cammy McClair almost grabbed a hat trick when his pace took him beyond the Meadow defence, but in the end up he attempted a cross that went nowhere instead of shooting. The Bankies finally scored a third after 74 minutes when a route one ball over the defence by McIndoe found Jordan Shelvey. He steadied himself before lifting the ball over the head of the out-rushing goalkeeper and into the net. The best chance that the home side had was when ex-Bankie Reece Pearson accidentally hit the bar when his wayward cross ball dipped over Waters head and bounced off the woodwork. The Bankies were excellent in every department today and the players should be well happy with their performances so far this season. The side looks to goals in it from a number of positions, the defence has yet to concede and its great to see a strong bench as well. The Bankies did not record a league victory last season until the end of September, so the improvement is clear to see. It's early days and there is a lot of water to go under a lot of bridges, but the start continues to impress.